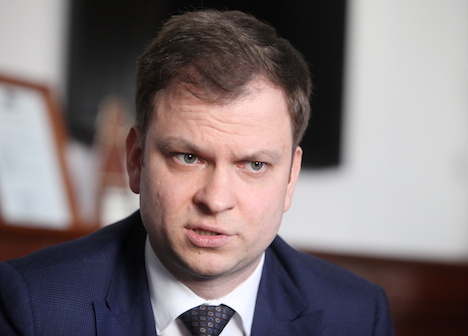 This year’s priority will be ensuring sustainable development and restoration of the finance sector’s reputation, says chairman of Baltic International Bank Viktors Bolbats. He said Latvia’s banking sector faced many major challenges in 2018. Certain changes occurred in the finance sector – from ABLV Bank’s self-liquidation to the banks’ performed money laundering and terrorism financing prevention measures and legislative changes that had influenced the outflow of foreign clients’ capital. Bolbats notes that currently Latvian banks are in the process of gradually transitioning to new business models, focusing on EU and Eurozone member states. The deposit structure has changed as well – 90% of all banking deposits in Latvia come from domestic and EU clients. «It is the time of change – a new year has dawned, and we stand before an important moment for government formation. Now is the time to look back on prior accomplishments. I also believe state institutions should review the changes in the industry. Evaluation is the only thing that can help determine if there’s been any progress,» said Bolbats. He also says the finance sector needs a sense of stability and a public evaluation of what industry players have accomplished. This year Latvia will have to report to Moneyval on European Council expert committee’s money laundering and terrorism financing prevention measures. «The main priority of 2019 will be the restoration of reputation of the country’s finance sector. This is why controlled growth of each bank and a detailed strategy of the entire industry are important. I am confident it is vital to form synergy between large finance market players and smaller niche banks that share the same values and work principles to ensure sustainable development of Latvia’s finance sector,» said Bolbats. He adds that cooperation between state institutions and banks was positive last year. This cooperation is expected to continue in 2019. «Institutions supervising Latvia’s banking sector are gradually strengthened. Financial institutions, on the other hand, continue analysing risk assessment procedures and their efficiency. Industry companies cooperate with the public sector within the necessary capacity. By contributing their part, they help introduce higher standards for preventive measures against illegal financial transactions,» says the chairman of Baltic International Bank. Also, according to him, the actual trend in finance industry will be technological transformation in 2019. ‘Financial institutions already compete with one another in adoption of new technologies, improvement of customer experience, reduction of costs and optimization of processes. This is why innovative services will be the deciding factor in 2019. This includes flash payments, open banking, automation of services, different visual changes and porting of internet banking services to new devices. Financial institutions intend on integrating fin-tech solutions in their services, improving efficiency of technologies and reducing paper document processing costs. Technologies will not only continue influencing financial institutions’ decision on locations for branch offices but also change formats of existing ones,’ said the bank’s chairman. He also adds that US Google and UK Revolut companies had registered payment companies in Lithuania last year. It is also expected that Apple Pay may come to Baltics soon. Bolbats mentions that business longevity and environmental protection are now more topical than ever before. ‘Society’s attitude towards longevity and green lifestyle advantages gradually changes. People living in developed countries more and more often find a green policy needed and desirable,’ he says. «In response to climate change, finance industry has already begun implementing ESG (Environmental, Social, Governance) concept in its everyday work. ESG policy has adapted financial products – clients have an option to receive finances in a way that supports projects that fight against the threat of climate change and support socially important projects. It is expected that financial products will receive the most demand and investments,» Bolbats adds. Asset-wise Baltic International Bank was Latvia’s 11th largest bank in 2018. Its largest owners include Valērijs Belokoņs (69,9%) and Vilorijs Belokoņs (30,05%).